I taught Lily how to spin on her Castella wheel today. It was exciting! She is the first youngster I’ve taught to spin on a wheel and she took to it very well. I hope I’ve inspired her as much as she has inspired me. I got home and all I could think about was spinning. 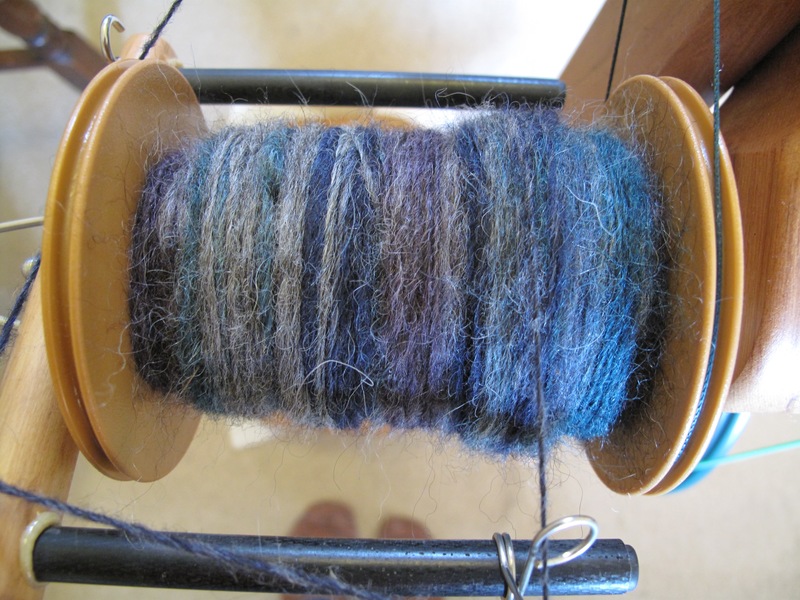 I’m finishing off the second bobbin of Gotland roving hand painted by the Thylacine. It’s a coarse fibre, I’m looking forward to getting it off my bobbins actually, but maybe when it’s plied it might make a good winter sock yarn? If I keep up the enthusiasm maybe, perhaps, I’ll make a dent in my fibre stash. That would be a good thing with just 6 months to go before the Bendigo Show, just saying.